Your Parse backend was always a bad idea. I didn’t need to add the emphasis there, they already did that. 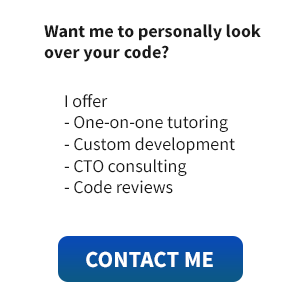 Thousands of developers TRUST US. You can see from this type of presentation of their image why developers are feeling so betrayed. Why would anyone continue using React Native, React JS, HHVM, Relay, or any other Facebook technology knowing that they may just randomly decide to pull the plug on it? Sure, these are open source and the community can take over, but open source projects need maintainers and corporate backers are a huge boon. Facebook has proven that we can’t trust them, but this shouldn’t be that surprising to anyone who has worked with Facebook APIs in the past, or any third party social media API for that matter. I’m going to get in to that later, but let’s completely change the subject for a second to talk about the other elephant in the room, Twitter… and more importantly Twitter Fabric, which now owns Crashlytics and has integrated a bunch of the amazing work done by Felix Krause. But to understand how Twitter has treated it’s development community in the past, I think we should talk about a little app called Meerkat. I promise we’ll get back to talking about Parse and Facebook, but this story falls under the same umbrella, so bear with me. So a little backstory: I live in Austin, TX which means every year at SXSW I get a front-row seat to the startups that are going to be big over the next year. Twitter, Foursquare, GameSalad, and even the Four-Hour Work Week were all launched at SXSW. These are some of the bigger successes, but every year tons of wide-eyed founders show up to Austin to present their work, and hope it takes off with people at the festival. 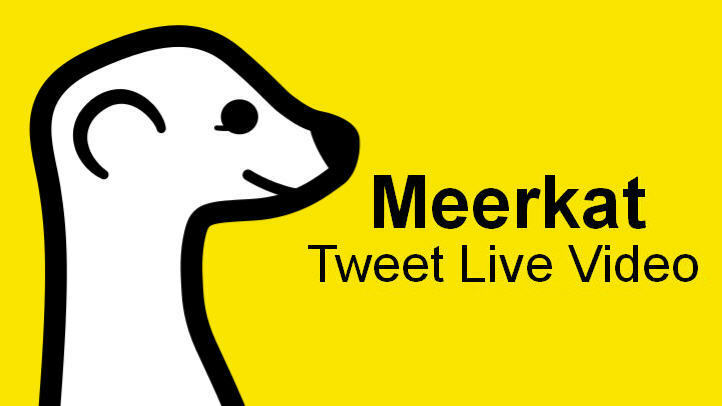 In 2015 there was an extremely clear SXSW winner called Meerkat. At the height of Meerkat’s launch, Twitter yanked API access right out from under their feet with only 2 hours notice. If you’re familiar with the iOS App Store process you might understand how this is sort of an issue, considering even if the Meerkat folks could somehow rewrite their entire app to not rely on the Twitter APIs they could not get an app approved and on the app store with an update within 2 hours… Actually it’d probably take more like 3 weeks or so. Personally I was not that surprised, but many people were wondering why Twitter pull such a move… Did they violate the terms of the API agreement? Where they doing something illegal? Actually it turns out the whole reason Twitter decided to handicap the most successful Twitter-based app in years is because they had their own competitor in the pipeline, called Periscope, which I refuse to link to. See, I told you we would get back to Parse! We’re proud that we’ve been able to help so many of you build great mobile apps, but we need to focus our resources elsewhere. Facebook generates all of it’s bottom line from advertising, just like Twitter, just like Google who is now the most valuable company in the world, surpassing Apple. In fact there is only one major platform vendor who doesn’t make the majority of their profit from advertising, and it’s Apple. It’s true, you really can’t trust these social media companies with your backend so blindly. You have to Follow The Money to find the motivations of the parties involved. If their motivations are not to provide you with a great service that benefits their bottom-line, it’s unlikely it’ll stick around for very long. This is also a great way to analyze your own business if you are a startup founder or CEO. When you work with anyone, you must be certain their financial motivations align with yours, otherwise there will always be a disconnect. This applies to employees, co-founders, partners, and vendors alike. If your business depends on an app, then your backend is an extremely important business asset that you absolutely must control. It took almost a decade for the likes of Salesforce and other cloud-based enterprise companies to make their way in to large corporations, and even today most of them are using on-site hosted versions of the software. The reason is that in a well run business you will own anything that is mission-critical. This increases the maintenance cost as well as the cost to initially deploy, but without this control your business is dependent on the whims of some shady figures who are mining your data to serve ads. Is that who you want in control of your server? How much do you trust Facebook, Twitter, and Google? If you do hire a vendor to build your backend, make sure you are getting the source code, and the tools necessary to load it up on whatever server you need. Docker is a nice way to contain all the environmental requirements for an app, and services like Heroku make deploying Rails apps easy.